Summer is that wonderful time of year when we spend a lot of time outdoors. The day light hours are long and the evenings are warm. Flowers and trees are in full bloom and special treats such as corn on the cob and watermelon are enjoyed with lip smacking appreciation. We often feel inspired during the summer months, as in no other season, which makes it the perfect time to allow our creative energies to flow into our home decorating projects. One such project would be to incorporate southwest decorating touches into our surroundings. Since so much time is spent outside, its only natural to create a special area to relax and enjoy all that the season has to offer. A deck, porch or patio is the perfect location to create a southwestern environment. This outdoor living area will become a favorite gathering place for family and friends and can easily be decorated in a southwest theme. When thinking of a way to introduce southwest touches, you may wish to begin with sunflowers. Start with a wreath for your deck, porch or patio that is adorned with lovely sunflowers to welcome family and friends. Ristras of dried chili peppers may be used to decorate walls and brightly painted ceramic birds could be hung from the ceiling. Consider using furniture for your outdoor space made of wrought iron and adorned with brightly colored cushions. To incorporate your southwestern theme, colors such as red, gold, orange, yellow, green, or blue are excellent choices for the plump cushions. Add plants in colorful pots to unify the area and a large rug placed in front of the seating area to define the space. A free standing fire ring could be used to cook marshmallows and hot dogs for family fun as well as to create summer memories full of pleasure. Be careful, however, to never leave the fire unattended and to keep the flame small. For a finishing touch, hang a string or two of chili pepper lights around the area for a real southwest atmosphere. As you enter inside your home, go throughout the rooms and look for any areas that seems a little drab and try placing a Native American woven basket filled with magnificent silk sunflowers in that space. You’ll be amazed at what a little color can do. Sunflowers make any room have a sunny and happy feeling and since the flowers are silk, they can be enjoyed even after the summer season goes into fall. 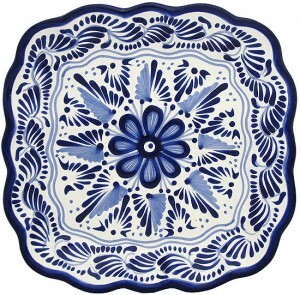 Another southwest idea is to purchase Mexican pottery, such as Talavera to use in designated spaces. 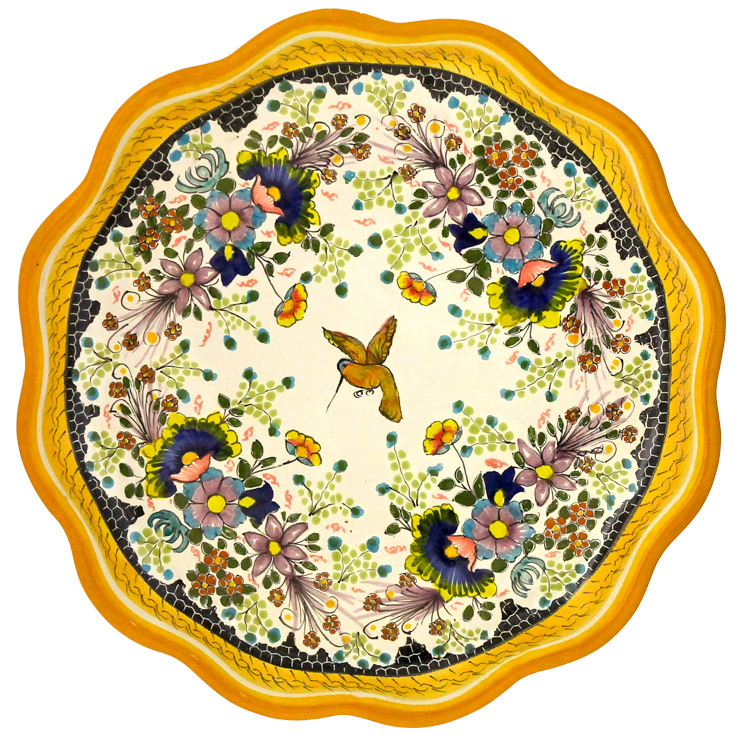 Each unique piece is hand made and painted and produced in all kinds of accent pieces for your home. 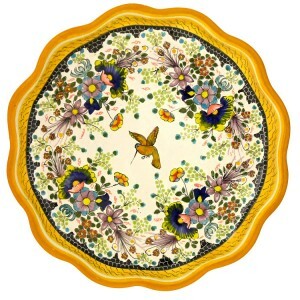 Many of these items are adorned with beautiful hand painted sunflowers. 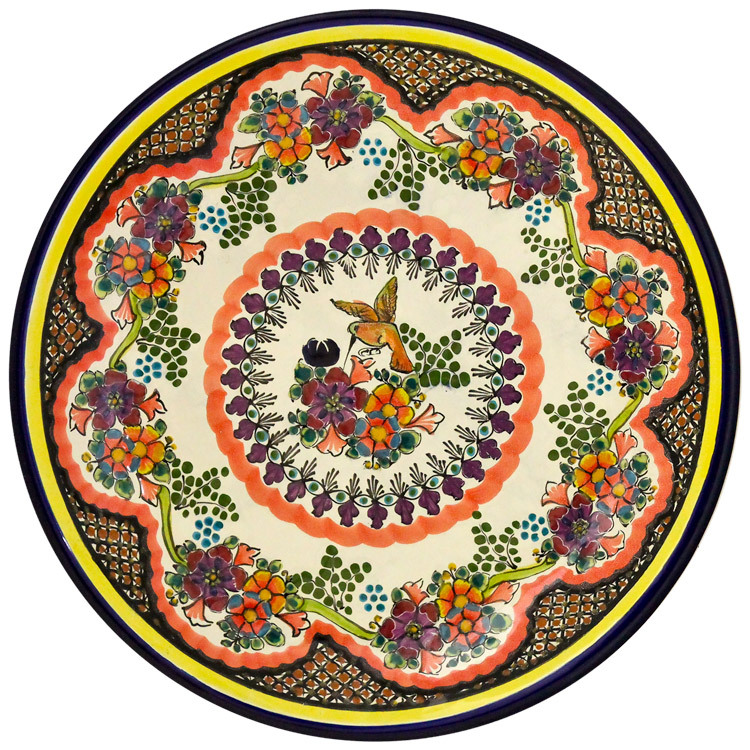 This type of pottery is a sure way of beautifying your space with a southwestern flair. Stunning colors are introduced such as deep blue and rich gold. Native American baskets are great for holding flowers but are also a big help in organizing our homes. Everything from mail to kitchen utensils and bathroom towels can be placed in one of these charming Indian baskets. Once you start using baskets in your home, you’ll wonder how you ever got along without them. You’ll find a use for baskets in every room and be delighted at how organized you become. If you like crafts, perhaps you would be interested in painting that wonderful flea market treasure you just couldn’t live without and incorporating it in your southwest decor. Tables, chairs, book cases, just about any piece of wooden furniture can be turned into a southwestern masterpiece. Simply choose a bright color that complements the room and before long, you’ll have a work of art. After the paint is dry, you could stencil on sunflowers or chili peppers for a unique one of a kind design. Add southwestern sizzle to your rooms by using small table top clay chimineas to hold candles. This gives an authentic “south of the border” feeling as does wrought iron wall sconces. The atmosphere will look calming and peaceful. Large pillows covered with rich woven wool pillow covers placed around the room for comfortable floor lounging is a nice addition. Have a CD of authentic Native American flute music playing in the background and don’t forget to light the sage incense. Summer is a great time for surrounding ourselves with beauty and things that put a smile on our faces. These lasting memories carry us through the next three seasons until once again, we can feel the delight of a southwest summer. 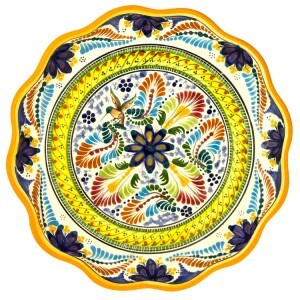 Talavera is the oldest tin-glazed ceramic in America and it is still being manufactured with the same techniques as in the 16th Century. Talavera is a unique type of pottery that comes from Puebla in Mexico. Although the natives of the area had been making pottery for a long time, when the Spanish arrived in the 16th century, they taught the locals new techniques. 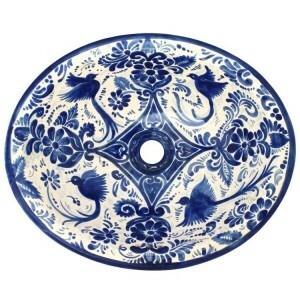 Using the Spaniards’ tin-based glaze and pottery wheel, the locals began producing this unique type of pottery. 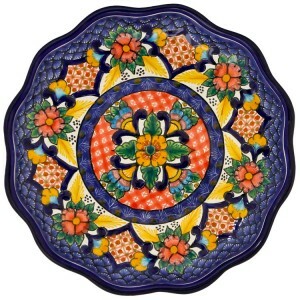 Talavera is highly sought after, and if you want to purchase authentic pieces, there are a few things you should know. By doing research on how to identify Talavera, the types of pottery, and how to authenticate them, as well as following a few helpful guidelines, finding authentic pieces is easy. 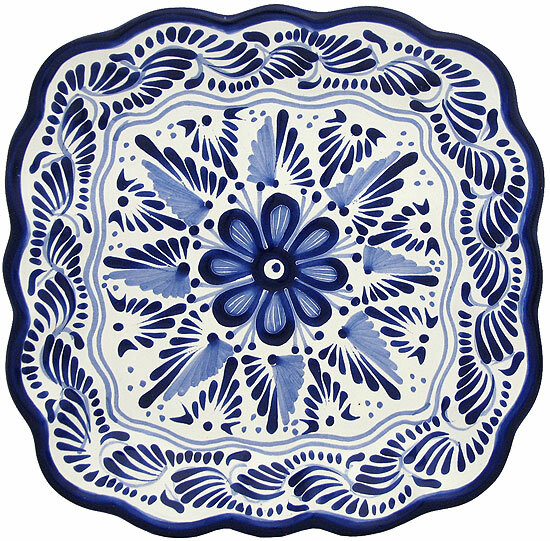 Talavera pottery pieces have a distinct, milky-white finish and a raised design. Collectors consider a piece to be authentic Talavera if it comes from the city of Puebla, or nearby places such as Cholula, Atlixco, and Tecali, not only because of the techniques the artisans use, but also because of the natural clay found in these areas. To make Talavera, potters use two kinds of clay: dark clay and light red clay. They mix the two clays together, then knead them, and then strain them. Some artists use a wheel to make bowls and vases, or they hand press and shape them around a mold. They leave the pieces to dry for two to three months, and then the pieces go through a first firing, before undergoing a glazing process. They add designs using stencils and hand painting, before firing them once again, this time at a higher temperature. 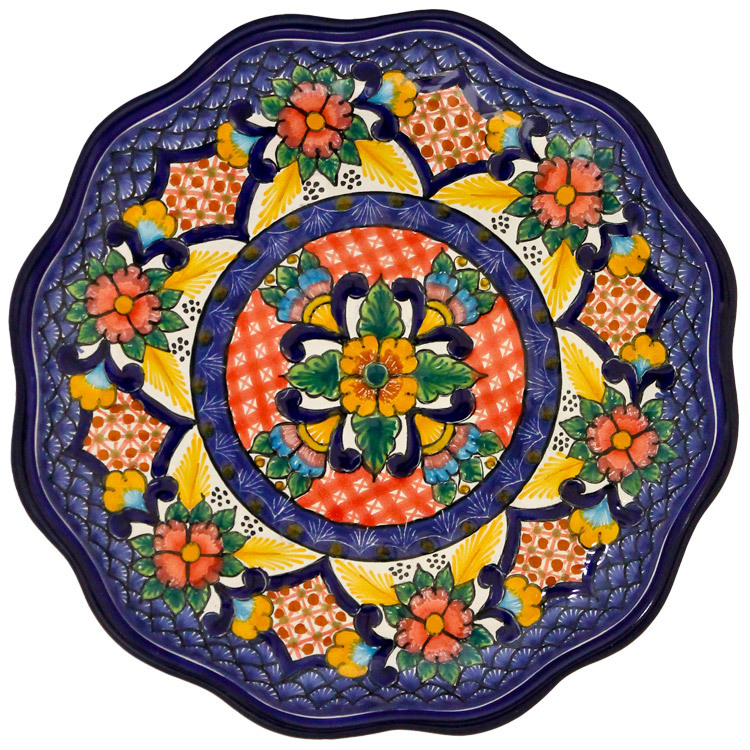 While there are many types of individual pottery pieces, clay tiles are the most popular application for Talavera. Many buildings in Mexico City and Puebla use these tiles for decoration. 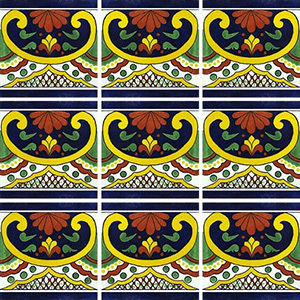 Talavera clay tiles are also a distinct feature in traditional Puebla kitchens, used as decoration for walls, counters, and food containers. 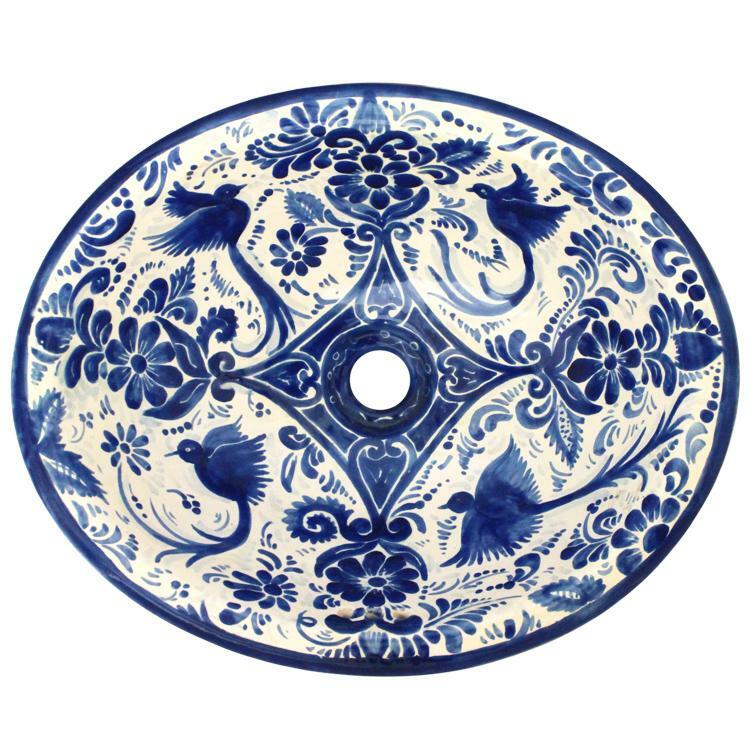 The production process of Talavera has remained almost unchanged since colonial times. The process employs two different kinds of clay: white and black, combined in equal parts. To prepare the clay, the first step is cleaning it, by putting it through a sieve, mixing it and placing in it in sedimentation tubs, until excess water is dried out. This “maturation” process increases the quality and plasticity of the clay. Next, the clay is “stepped on”, that is, it is kneaded by having someone walk over it to obtain a uniform consistency and humidity. Afterwards, blocks are formed and the clay is stored. Production can be done in one of two ways: by using the potter’s wheel, or through the use of molds, over which clay plates are placed. Once the pieces are completed, they are stored in unventilated spaces for a long period of time, so they can dry slowly and uniformly. Afterwards, the pieces go into the kiln for the first time, for a period of about 10 hours. Then, an enamel made of tin and lead is applied through an immersion process. This layer is the basis for the decoration. The designs are selected along with the colors, which are prepared with mineral pigments, respecting the traditional colors of the Talavera of Puebla. Finally, they go into the kiln for a second time. This is where colors obtain their characteristic shine and volume. The city of Puebla, 80 miles from Mexico City is the largest colonial city in the country, and it is recognized for its magnificent historical center as well as for its centennial production. In México, conquistadores found a pottery production of excellent quality, which had been developed over several centuries. It had excellent quality. Pottery was used for domestic utensils, but it also played a significant role in religious ceremonies and funerary rites. In addition, clay was used for the creation of extraordinary sculptures. During colonial times, Spaniards started bringing ceramics from Europe, as well as establishing Spanish potter workshops. Puebla was the main pottery production center not only of the New Spain, but of the New World. In 1550, 20 years after the city was founded, it already had several workshops of glazed pottery and tiles which would later be known as Talavera de Puebla and that, from that time, became the best known type of ceramics in the country and one of the oldest crafts in Mexico. 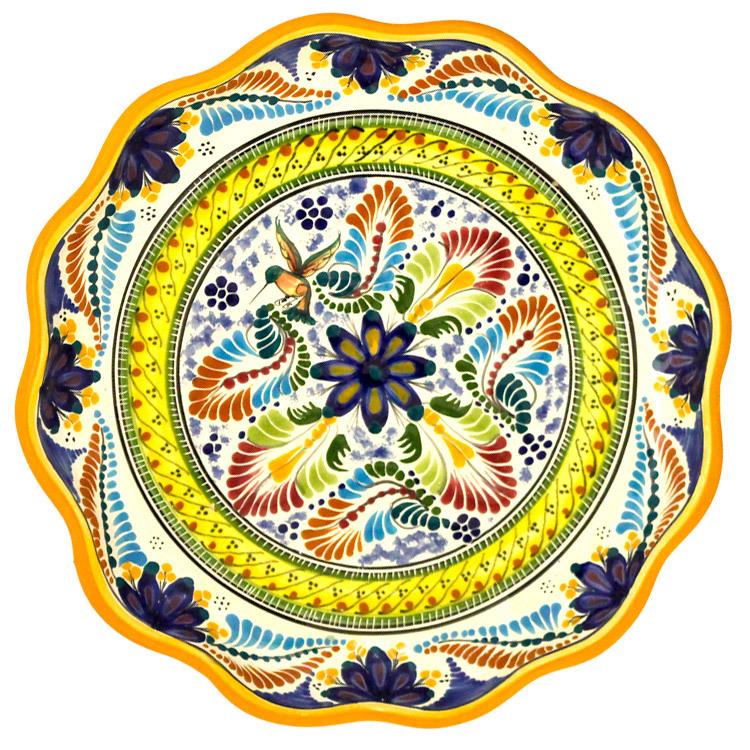 Its name comes from the place of origin of the first artisans which produced it and from the fact that the techniques used copied those used in the town of Talavera de la Reyna, in Spain. Nowadays, its production maintains its primitive character, but its decoration has been modified as its Muslim, Chinese and European influence has been combined with local elements that provide its unique and unmistakable characteristics. From the beginning hose same workshops produced Talavera tiles, a covering that enriched viceroyal architecture, becoming an element of identity of the urban image that lasts to these days. 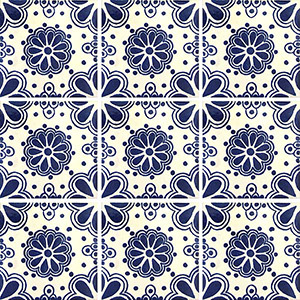 The use of Talavera tiles started in religious architecture, and was later adopted by civilian architecture. They were applied with both decorative and utilitarian purposes. Over time, they were used in larger and larger surfaces until the XVIII century, when the use of tiles was generalized and, combined with bricks, they covered entire facades. By playing with different shapes and sizes, very original designs were created. They adorned floors, patios, stairs, fountains, door frames and windows. In churches, they covered altars, domes and frames, and so Puebla became the city where Talavera will find you at every corner.